The kids are back at school. The weather is cooling down. Holiday decorations are beginning to pop up everywhere. And the smell of spicy wings is wafting in the air. This can only mean one thing…football season is here! The NFL 2017-2018 season officially kicked off last week, so naturally, that got us thinking about the watch choices of the players. Unsurprisingly, many of them opt for Rolex. Here are seven NFL quarterbacks and the Rolex watches they sport. Tom Brady has a Milgauss on his wrist. While the New England Patriots’ quarterback is officially an ambassador for TAG Heuer, it seems Tom Brady is also a Rolex Milgauss man. 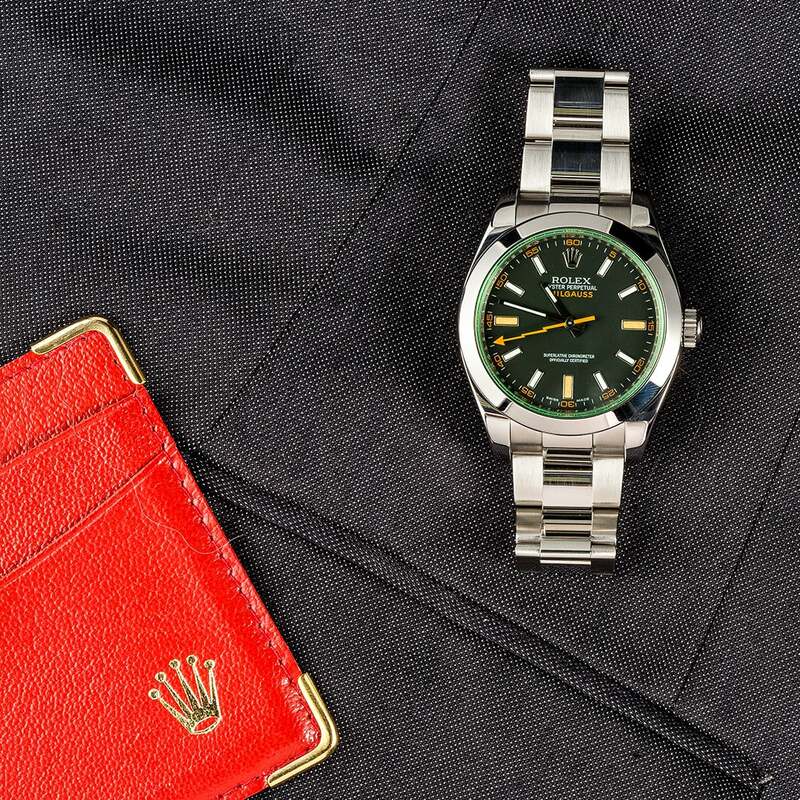 The modern Milgauss ref. 116400GV with the distinct green sapphire crystal on top of the black dial to be specific. Along with his legendary athletic prowess, the five-time Super Bowl champ is also known for his impeccable style off the field. Not only have we spotted Brady pairing his full stainless steel Milgauss ref. 116400GV with a sharp suit, he’s also switched out the Oyster bracelet for a black leather strap to match a more laid-back look. That’s how it’s done, gents! Carolina Panther fans are hoping Cam Newton’s throwing shoulder will hold up well this season after the quarterback’s surgery earlier this year. 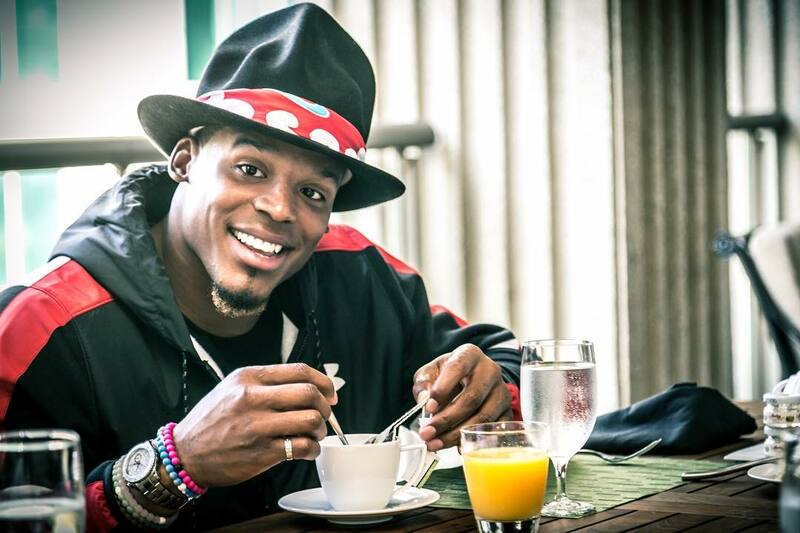 Football aside, Newton also grabs plenty of attention for his signature style. Since our previous report on Newton’s watches, it seems his appreciation for Rolex watches hasn’t slowed down. To accent his fashion-forward outfits, Newton often wears his yellow gold Yacht-Master II ref. 116688. In fact, the 44mm solid gold Yacht-Master II topped with the shiny blue Cerachrom ceramic bezel stands out well amongst the stacks of beads and bracelets he wears with it. Taking over for Tony Romo during his rookie season with the Dallas Cowboys, quarterback Dak Prescott impressed fans and critics alike with his skills. So much so, that Prescott was named the 2016 Rookie of the Year. Plus, he also picked up an ESPY award this summer for Best Breakthrough Athlete. During the glitzy ESPY award ceremony, Prescott donned a two-tone Rolex Datejust 41 ref. 126333 with a Jubilee bracelet and black dial. However, not satisfied with an off-the-shelf Rolex, Prescott added a custom diamond bezel too. Aaron Rodgers wears the Deepsea Sea-Dweller. Perfect for a man of his size. Rodgers famously said “size matters” in reference to how his hands were able to hold onto the football after Cowboy’s Jeff Heath sacked him last season. And the same sentiment seems to ring true when he picked his Rolex Deepsea ref. 116660 watch. Not only does the Rolex extreme diving watch boast a 44mm case but it’s also 17.7mm thick to accommodate the Helium Escape Valve. 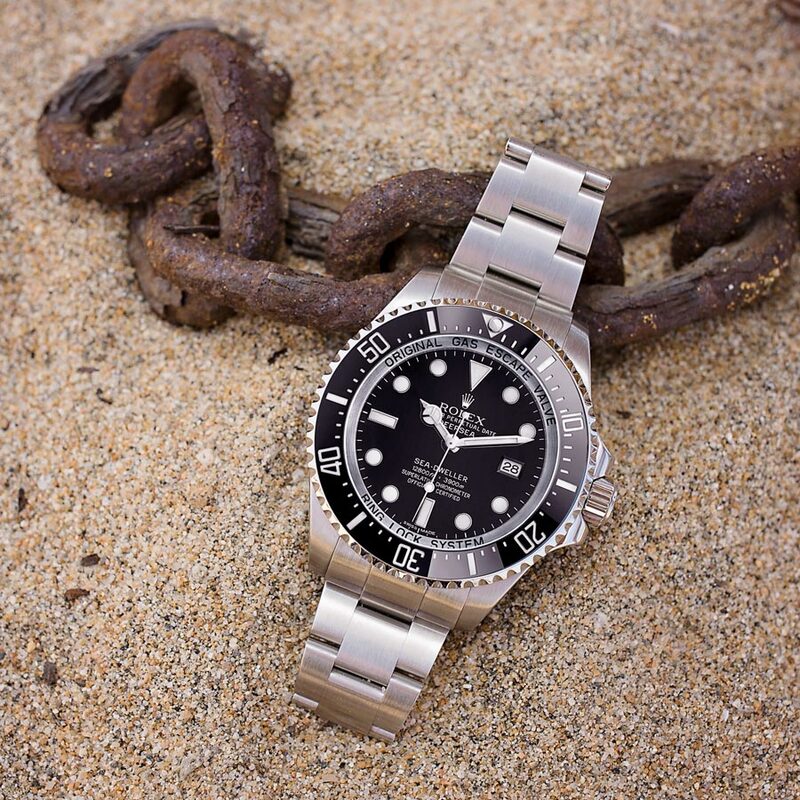 As such, the Deepsea is the largest watch in Rolex’s current catalog. The Rose Gold Yacht-Master is a beautiful watch. Matt Ryan and the Atlanta Falcons had high hopes to take home the Vince Lombardi Trophy last year. But those chances quickly unraveled during the last leg of the Super Bowl 51 game when the Pats bounced back big to ultimately clinch the win. Regardless. Ryan was still awarded the NFL MVP for 2016 and the Falcons are heading into the new season with a mission to redeem themselves. 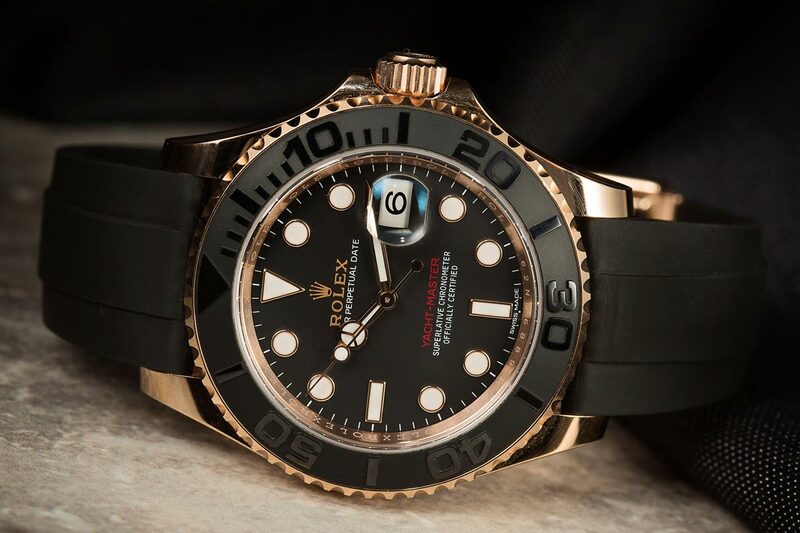 Matty Ice’s current Rolex is none other than the Everose Yacht-Master 40 ref. 116655. One of Rolex’s newer models, having made its debut in 2015, the Yacht-Master 40 ref. 116655 is also one of the most striking thanks to its black Cerachrom ceramic bezel and innovative black Oysterflex bracelet. The Daytona ref. 116500 are still in high demand. Matthew Stafford made headlines last month when he became the highest-paid player in the NFL, ever. The Detroit Lions awarded their quarterback a five-year contract extension worth a whopping $135 million! And what does the highest paid football player wear on his wrist? 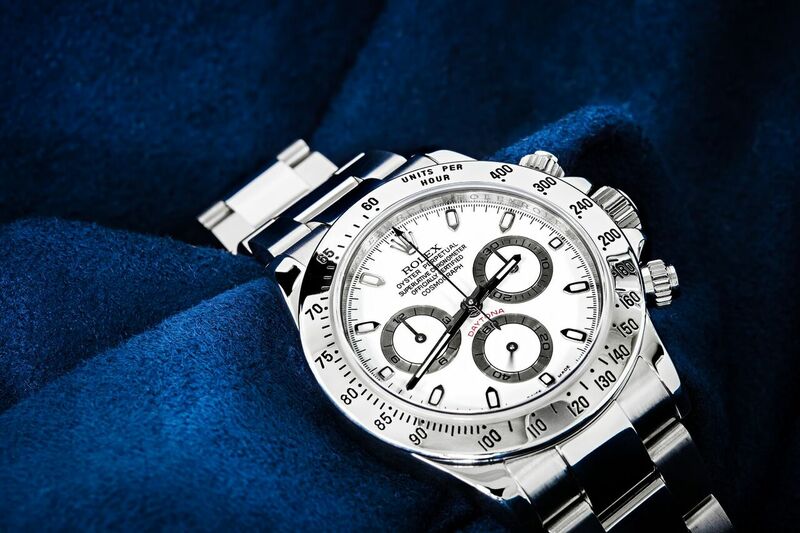 The most in-demand Rolex watch right now of course—the stainless steel and ceramic Daytona ref. 116500LN. But that’s not all. Stafford also wears a solid gold Sky-Dweller, one of Rolex’ priciest models to date. And with such a hefty payday, Stafford can certainly afford to add a few more pieces to his Rolex collection. 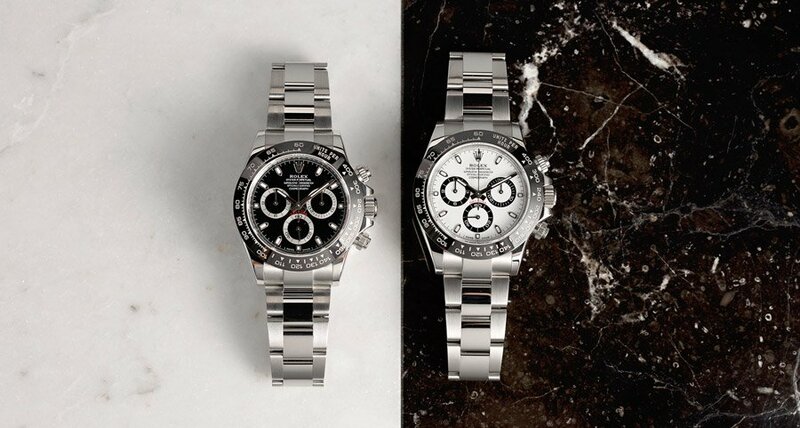 The Rolex Daytona ref. 116520 may not be as popular as the 116500, but it is still in high demand. Quarterback for the Seattle Seahawks and Super Bowl champion, Russell Wilson launched an app last week for his fans. The TraceMe app promises to offer an intimate behind-the-scenes look at Wilson’s life—which in addition to football, also includes business ventures and philanthropic pursuits. With this front row seat, fans may notice Wilson’s stainless steel Daytona ref. 116520 on his wrist while he goes about his busy life. Although this Daytona is no longer in production due to the introduction of the ceramic bezel version, the ref. 116520 remains extremely popular. With its 40mm case, steel tachymeter bezel, and in-house Rolex chronograph movement, it’s an absolute classic. Looking at the above list of NFL players who wear Rolex watches, we can’t help but wonder if one of them will soon have the Super Bowl LII championship ring to wear alongside their timepieces. What team are you rooting for this year? Which of these quarterbacks do you think has the best Rolex? Leave us your comments below!